Big Blue said that it wants to push Silicon technology to its very limits, down from the current 22nm nodes to 10nm and then 7nm by the end of the decade and potentially even smaller geometries. It also have plans to develop alternative technologies to be used in "post-silicon" era chips. IBM has already committed extensive resources to the likes of carbon nano tubes (CNT), Graphene, neurosynaptic computing, silicon photonics, technologies based on III-V chemical compounds, new memory technologies, quantum and cognitive computing (such as Watson). 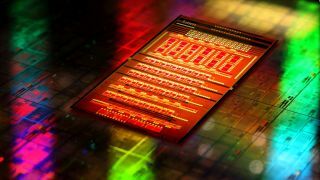 These investments, IBM hopes, will allow it to be a leader in the computing world but although targeted, they pale in comparison to what other tech companies operating in the semiconductor market spend on R&D. Intel spent more than three times IBM's proposed investment in 2013 alone, a 22% growth compared to the previous year.